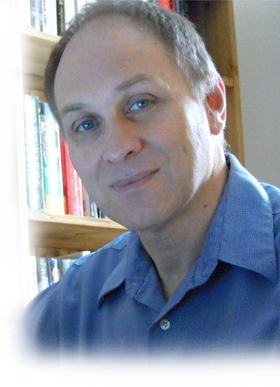 Iain Pattison is a successful short story writer, frequent competition judge and a writing tutor. You know, sometimes I think judging short story competitions should come with a health warning. Not that it’s dangerous – well, not if you can run fast enough from those who haven’t won – but more because of the awful things it can do to your state of mind. It’s always the same. Each time a big envelope of entries drops through my letter box I grin insanely knowing I’m in for a reading feast. But then, moments later, I remember that 95% of them will be stories of angst, despair, betrayal, abuse, regret, anger and disappointment and I gulp and wonder if my poor ragged nerves will stand the trauma. It’s not that I’m a delicate flower or have a soulful, artistic disposition (I make Frankie Boyle look like Pollyanna on a particularly upbeat day), it’s just that no one can take hour after hour, page after page, tale after tale of gloom, doom, depravity and darkness without it leaving them so down in the dumps it would take a JCB to effect a rescue. In some larger comps the pile of entries stand four feet high – that’s a tower of tears, a soaring spire of sorrow, a mountain with pique at the top! And the only thing that gets me through the relentless emotional pounding is the rare treasured tale that provides a chuckle. For a few precious smile-filled minutes I escape the plight of characters being diagnosed with cancer, discovering their spouses are having affairs, fretting over putting elderly relatives into care homes or dealing with their drug/alcohol/Facebook addictions , and just have a good laugh. Bliss. Sheer bliss. So it won’t come as a surprise that I always urge writers to go for humour if they want to stand out in comps. Funny stories don’t have to be trite, lacking in compassion or silly. They can make the same telling points about how people behave, about the madness of modern life, and reveal real truths about the human condition – but do it with a few welcome giggles along the way. Nor do they need to gag-packed or slapstick. Some of the funniest stories I’ve ever judged have been deadpan all the way through until springing an unexpected and ironic twist. Other adjudicators feel the same – we all call for comedy. 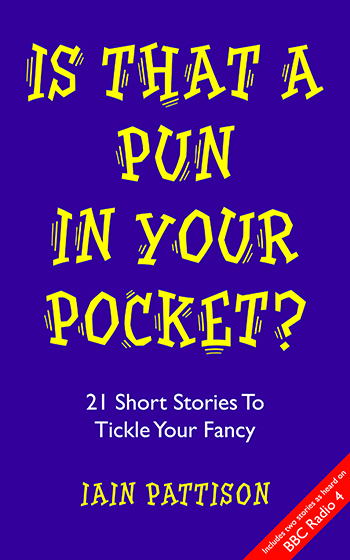 And if you take a look at my eBook Is That A Pun In Your Pocket? 21 Short Stories To Tickle Your Fancy you’ll see that many of my satirical tales did indeed catch the eye of jaded judges. So please – more funnies. It’ll boost your chances, make judges love you, and mean that The Samaritans can lift the bar they’ve put on my overwrought phone calls! Many thanks to Iain for his advice! And if you want to see how Iain injects humour into his own stories do take a look at Is That A Pun In Your Pocket? 21 Short Stories To Tickle Your Fancy. I particularly liked Iain’s modernised version of A Christmas Carol and his take on Willy Wonka’s Chocolate Factory. This entry was posted on July 2, 2013, 9:00 am and is filed under Authors, Books, Competitions, Short Story. You can follow any responses to this entry through RSS 2.0. You can leave a response, or trackback from your own site. Enlightening, my first (and only successful) short story submission to Mslexia was a deadpan funny. So maybe funny can mean successful, Hilary? Thanks for this fine post from Iain, Sally. Part of my role as competitions organiser for Erewash Writers’ Group means I read every single story that comes in. I know exactly what Iain is saying here. Humour is generally lacking in competition entries yet is greatly welcomed. I do hope though, it won’t put off anyone submitting their entry to our Open competition (which closes 26th September btw) just because it doesn’t have a humorous slant. Several entries to our previous competitions have moved me. For me to become mildly tearful after reading a quality story doesn’t happen often but it has happened and I’m glad it did. So yes please, if you can write humour then do but please don’t be put off if writing from your heart means there are no laughs in your story. Thanks for another judges’ view, Debbie. I find humour hard to write – I wonder why it’s so much easier to write about doom and gloom? It sounds like you were lucky, Patsy. Or did your comp. have an upbeat theme? An encouraging post – thank you Iain and Sally. Having recently been a reader for a short story competition I empathise entirely with Iain’s comments. Well written comic stories are rare, but are a delightful antidote to the ‘doom and gloom’ plots. Sadly, the winning stories for the ‘big’ competitions often seem to be woefully miserable in subject (nasty even), which possibly encourages writers to submit similar pieces. Also comedy does great skill to pull off. I agree, Tracy. Comedy is very difficult – the more I try to be funny, the more unnatural and stilted it becomes. Thanks for this, Sally. Another good post, as always! I do agree with what Iain has to say. When I’ve read some of the so-called winning stories on various websites, I’m not surprised I haven’t won anything. I just can’t write in that ‘gloom and doom’ way that seems to dominate. I’d rather not bother! Well now you know, Anne. Don’t bother with the doom and gloom – go straight for the funny bone! Oh that is good news, Iain, because I find it so much easier to be flippant than tragic! Really interesting post, thanks to you and Sally! Fingers crossed that your lighter touch will make you a winner, Debbie! Great post Sally and Iain, I think it’s because most people get rid of their tragedies by writing them down. Cheaper than going to a therapist. I enjoy funny writing, so must enter more competitions. Shame about the Lancaster one Sally. We should have entered two each, then it would have run. Hi Susan – not heard about the Lancaster – what happened there? I had an email from them to say that they needed 25 entries to run the competitions, they only received 23. I know me and you entered, wish I’d have known, I’d have sent a couple more. Maybe next time. They say they’re going to refund the money. Was it Lancashire? I know you promoted it on your blog. Oh dear, Susan, what a shame. But it shows that some competitions, especially the smaller ones, don’t get loads of entries. Thanks, Womanbitesdog. Now I’m coming over to have a look at your intriguingly named blog! Good advice. Never read any “share my misery” stuff missing the mark as inspirational. Wanna read clones of Mark Twain, Dave Barry and Garrison Keillor. I don’t go for the misery memoir stuff either, Carl. Reading escapism and who wants to escape into misery? Thank you Sally and Ian. It was a puzzle why publishers and editors seemed to require gore, alcoholism and angst. What big seller today isn’t about facing down/succumbing-to awfulness? Short stories even more so. Never considered that it was because 95% of the stories written are about trauma. Hee hee. Could be a blast to go back through my own towers of tears and find the funny. It’s certainly worth making the effort to find the humour in each and every situation, Julia. And if you’ve got something in your back catalogue – dig it out! That is vastly encouraging to me. I have always despaired that my lighthearted style puts me right out of the running on such competitions. I like providing a twist – but it tends (oh, horrors!) to lead to a happy ending. Add some of the wordplay I love, and it equals that my chances of a minus are multiplied exponentially! Colonialist, I think you’re ‘minuses’ have just become a great big ‘plus’! Follow Iain’s advice and send those competition entries out! Thanks Sally for the opportunity to guest, and thanks to everyone who left a comment. Glad I’ve been able to offer encouragement to those who like to write fiction without a frown. It was a pleasure, Iain. Not usually one for short stories but this was highly recommended so thought I would give it a go. Found it great to pick up and dip into with a cuppa. Thoroughly enjoyable read.